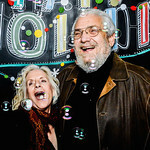 CHALK SHOT is a custom-designed photo experience by Kasey Jones, Ink. based out of Los Angeles, California. 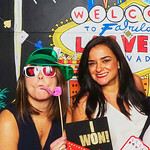 It’s similar to an open air photo booth, with the addition of personalized artwork, themed props, a professional photographer and high-resolution printing on-site. Each CHALK SHOT shoot includes a vibrant hand-drawn backdrop, and fits up to 12 people, making it great for small or large parties. Available packages include on-site printing, social sharing, selfie stations and our traveling booth option, CHALK SHOT-IN-A-BOX. Stationary, thank you cards, hardbound memory books, canvas prints and the custom backdrop itself are available to purchase. Each CHALK SHOT event is handmade, designed and photographed with love. We are dedicated and excited for each individual client and their very special affair. please reach out to us at CHALKSHOT@kaseyjonesink.com. 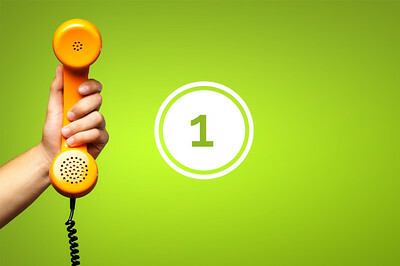 First...we talk. You and our CHALK SHOT artist will discuss the specifics of your event in order for us to get a better understanding and overall feel for your unique occasion. Our artist creates a mockup of your custom backdrop art based on your initial design consultation which is sent to you for approval. You are allowed one round of tweaks. Once approved, we create your custom backdrop using semipermanent chalk ink. Depending on your CHALK SHOT package, we print on-site, and everyone in the picture gets a copy of their photo. We provide free online downloads, so you can access and share your photos anytime, anywhere. Plus, you can order hardbound Memory Books, canvas prints and thank you cards using highlighted CHALK SHOT photos, and your custom backdrop art is available to purchase. "CHALK SHOT was hands down one of the best choices we made for the wedding. Joel and I had so much fun crying laughing looking through all of our crazy guests’ photos. Check em out!" "We’ve hired CHALK SHOT for EXTRA’s Holiday Party at Universal Studios Hollywood the last two years. Our guest list included top Hollywood executives and celebrities, and it was very important to give them a unique and entertaining photo experience. Thanks to CHALK SHOT we did. The feedback was so positive that we booked them for our Golden Globes One on One Room. With the help of CHALK SHOT we were able to capture and preserve priceless moments with our on air host and all the winners." "I first discovered CHALK SHOT when I booked them for my wedding. I was so impressed with their service, that I've since hired them for my company Pentland's Holiday Party, as well as for several events including a recent influencer party for Lacoste at MAGIC. 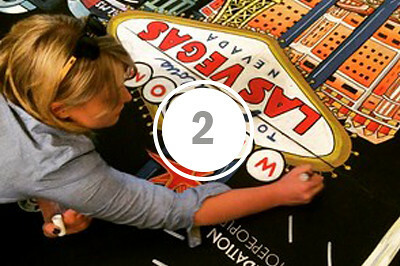 If you are looking for a lasting and impactful experience for your guests or brand, CHALK SHOT is the way to go." 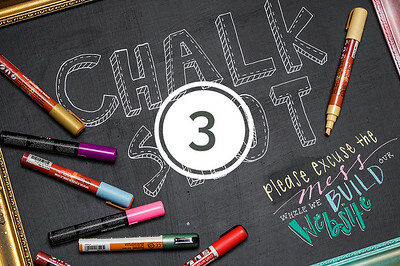 "We hired CHALK SHOT for imagine1day's First Annual Gala honoring Tracy Anderson. HIgh profile guests included Gwyneth Paltrow, Jenna Elfman and Breckin Meyer. CHALK SHOT helped create the fun-natured and intimate energy we aimed to provide our guests. We were so happy with their service, that we extended the CHALK SHOT experience by installing their awesome backdrop art at our office, and are using their photos for our marketing purposes. We look forward to our next collaboration with the CHALK SHOT Team!" Kasey Jones, Ink. 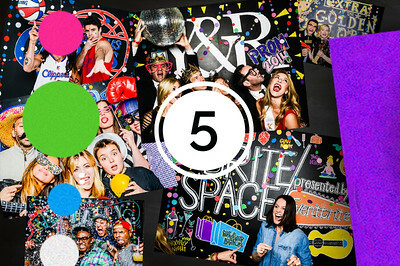 is a one stop shop for branded experiences, custom art and influencer gifting. We provide a unique variety of interactive and one-of-a-kind services for events, companies, and individuals throughout the country using multiple art mediums. 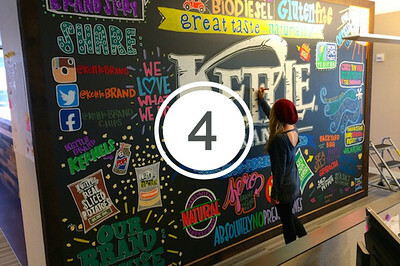 Services include Live Art Activation and murals, step and repeats, press walls, lettering, event signage, illustrations, portraits, specialty gifts for brands and individuals, and the interactive photo experience CHALK SHOT. From international agencies to world renowned brands to local wedding planners to your next door neighbor, we’ve had creative love affairs with them all. 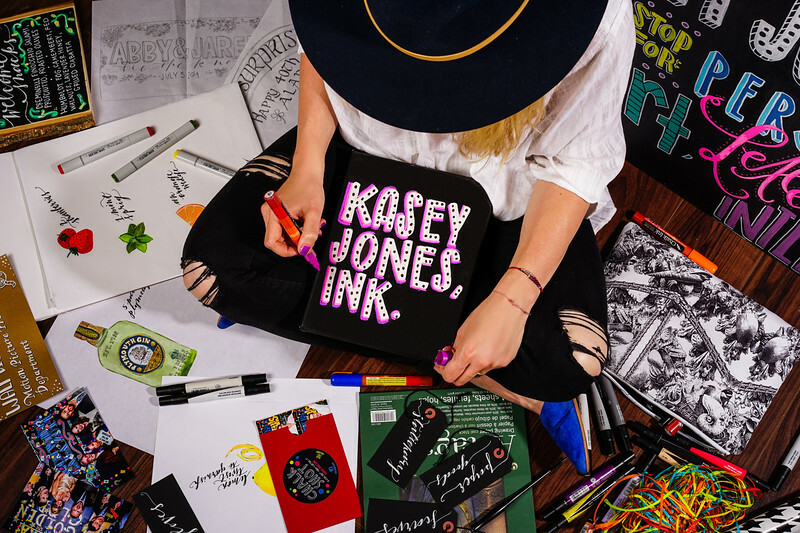 To learn more, visit www.kaseyjonesink.com and check out our featured small business spotlight story on AMEX OPEN Forum. A portion of KJI profits go to The Crayon Initiative, which recycles unwanted crayons and donates them to hospitals and children’s arts programs. To book CHALK SHOT, email CHALKSHOT@kaseyjonesink.com.